“We the American people are witnessing the stealing of one of our most iconic public lands happen right before our eyes." "This is grand theft refuge, and it couldn’t be more clear that regardless of what this administration says publicly about ‘doing it right’. They want to do this quickly, no matter the impacts to wildlife or to the Alaska Native peoples whose subsistence depends on the Arctic Refuge. More than 700,000 Americans weighed in opposing this rush to drill. So did the majority of those who turned out at public hearings. And the overwhelming majority of Americans do not want to sacrifice one of the wildest places left in the world for a speculative fix of oil for export to China and other countries. During the tax bill debate, U.S. Fish and Wildlife officials testified regarding lease sales that ‘two would occur four to five years from now, with drilling being potentially as far out as 7-10 years.’ Now the Fish and Wildlife Service has been cut out of the process and the Trump administration is trying to advance a lease sale in the heart of the Arctic Refuge by next summer, years in advance of the promised timeline. 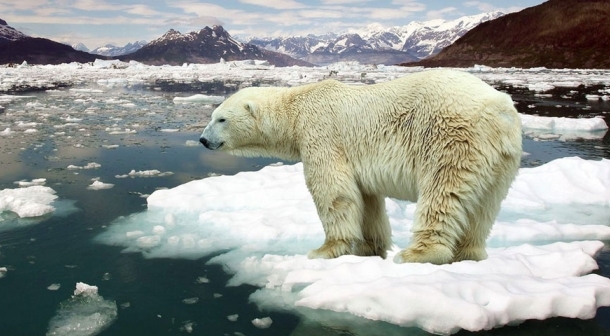 The tax bills that were recently approved by the U.S. Senate and House of Representatives each contain a provision allowing drilling for oil and gas in the Arctic National Wildlife Refuge. The bill now heads for reconciliation by the two chambers, an up or down vote of the final bill by the House and Senate, and then to President Trump for his signature. How do Americans feel about opening up ANWR to drilling for oil? And how much do opinions differ across partisan lines? 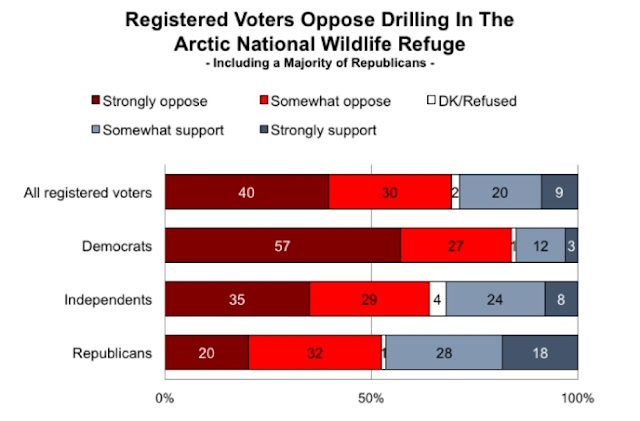 In most recent nationally representative survey, conducted in late October, A large majority of American voters (70%) oppose drilling in the Arctic National Wildlife Refuge. Those strongly opposed outnumber those who strongly support the policy by more than 4 to 1. Further, majorities of Democrats (84%), Independents (64%), and Republicans (52%) oppose drilling for oil in the Arctic National Wildlife Refuge. Only 18% of Republicans “strongly support” the policy. Responses to "Americans oppose Trump's decision on drilling in Arctic National Wildlife Refuge"